Please share your experience at Diamond Design Studio. 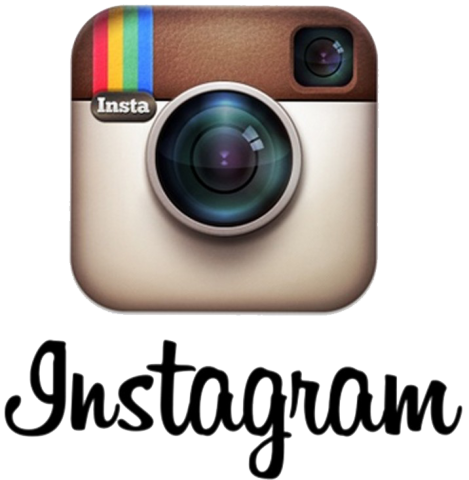 We would love to hear your feedback! Anju and her mother were extremely friendly, patient and informative. They helped explain several diamond features and were able to make my custom ring based off of photos. I would highly recommend visiting them at the very least. I had the best experience buying from Diamond Design Studio! The service was attentive and unhurried, they took the time to teach me about the jewellery, and my custom order was ready early! Not to mention it's GORGEOUS and better than anything I could have imagined! Thank you SO much! My fiance proposed to me over the weekend and I just wanted to thank you for all your work and and the beautiful ring. As well as making the whole process simple and enjoyable for us :) Also thank you for the beautiful ring holder. Hopefully I will be bringing my sister next! Amazing quality, super friendly service. Really felt like they cared as much as I did about my purchase. I had no idea going into this, and they helped coach me every step of the way. Highly recommended! I just bought any engagement ring here and I highly recommend Diamond Design Studio. They have been with me at every step of the way, from educating me about the 4 C's and the best styles, up to now, the continuous support and (i.e. insurance, polishing, sizing, advise, etc) and follow-up's. Anar and Anju have been super helpful from the start. I can honestly say that they are not just here to make a quick buck; they truly care about their clients. I will definitely get all my jewellery from them in the future and recommend all my friends to do so too. I wanted to thank you both Anar and Anju for this beautiful milestone in my life. You have made something that is uncomprehendable to me into something easier. Showing me the steps and things I needed to get in order to make a horrendous day in paradise into something as lovely as this ring. I appreciate the time and countless emails and phone conversations that we went through to find the most perfect diamond within my budget. When I first sought out this endevour, I was so worried but your patience, insight and help made the purchase so smooth that I couldn't have asked for more. My new chapter of my life starts now thanks to you both. Without you, I may still be shopping for the perfect diamond. Thank you both for your time spent, your insights were tremendously helpful and constant contact when something came up was nothing short of the perfect experience. Thank you so much for creating the ring of my dreams. It turned out to be more way more perfect than I expected! I am so glad I found you guys. And I loved the complimentary gift...you guys are so sweet!! Thank you so much to Anju for taking her time and working with what I had in mind. The ring looked amazing and a lot better than I pictured. Would definitely recommend to anyone looking for that perfect ring!! I am so happy with the custom band you created for me. It is perfect and I cannot stop admiring it since picking it up. Your advice and input made the decision so easy and stress free. What an excellent experience! Thank you so much for everything and I will be back! This was my first time purchasing an engagement ring. Diamond Design was easy to work with and made me feel comfortable. They provided me with an overview which helped me be a knowledgeable consumer and stay within my price range. They were friendly and accommodating, and provided me with a great diamond. I had a specific ring design in mind and they did a beautiful job. Thank you and we'll be coming back for the wedding bands. Lester was speechless; he kept turning the ring around, then he said WOW! You are your designers did an excellent job of bringing the picture to life. Thanks again. I purchased my engagement ring from Diamond Design a few months ago. Anju and company were more than a pleasure to deal with, not only are they really nice and really patient, but super knowledgeable. I went into the process of buying an engagement ring somewhat blind to what was involved, but Anju patiently walked me through the entire process in no time at all. She and her staff thoroughly explained cuts, clarity and quality, and walked me through the process of hand picking the exact diamond that I wanted to be placed on a ring that they helped me design myself. My Fiance and I are returning to Diamond Design for our wedding bands. It can be stressful and nerve racking buying an engagement ring and trusting any company to help you make that decision, as well as trust in the fact that you are not being ripped off or taken advantage of. I highly recommend Diamond Design - they are professional, trustworthy, and pure quality. I have been a client of Diamond Design for many years and the ladies have always been wonderful to talk to. One day I curiously asked the ladies if they had heard of a semi-precious stone called Morganite...and Anju quickly knew and expressed how much she loved the stone also. She was able to find one for me and it was love at first sight to say the least. We discussed the design of it and colour of the band. Weeks later, it was ready and I was truly overwhelmed of the beauty of it. It was perfect!!! The craftsmanship was truly magnificent. It was more than what I expected. My experience was exactly what I was hoping for when purchasing a ring for such an important life event. I was uneducated in the world of diamonds when I first contacted Anju and she was more than helpful in helping me make the right decision. I came out with a better understanding after my experience with Diamond Design. I highly recommend them to anyone I know that is looking to make a meaningful jewellery purchase. Thanks again. The engagement ring Diamond Design made for us surpassed our loftiest expectations. They took great care in understanding the style of ring we were looking for, and the result was both stunning and meaningful to us both. They were an absolute pleasure to work with - so much so that we returned to get our wedding bands. And we will return again. We couldn't be happier with the service and results! We had a spectacular day - couldn't have been a better celebration! Our experience at Diamond Design was such a pleasant one! It was the first place we visited, and the first ring I tried on was the one! It was clear from the moment we were greeted that it was all meant to be. We would recommend Diamond Design without any reservations! I just want to thank you again for ALL your help! Shanif loves the ring and so does everyone else! I have gotten nothing but bare compliments for this ring!! And I have given everyone your details ;) What I didn't realize when I got the ring was that the design on the ring is very much like the infinity symbol...goes perfect for a promise ring, doesn't it!? Thank you again for all your help, and I'm sorry for the trouble I must have caused! Hopefully I will be returning to get my engagement ring from you! I have been shopping at Diamond Design for the longest time of 16 years or so. The ladies are extremely knowledgeable of their diamonds and always take time to educate and advise their customer. You will always feel comfortable and confident about your purchase, knowing you have a good quality of jewellery at a very fair price. Just love doing business with you ladies. Many more happy years ahead. Purchasing our rings from Diamond Design has been a great experience. I had spent weeks looking elsewhere, however within minutes of being at Diamond Design, I was able to find the perfect ring at a price significantly under budget. The staff was kind and personal, and made the buying experience very comfortable. I've been working in the downtown core for almost 10 years and had walked by Diamond Design Studio located in the PATH countless times before getting engaged, never really considering to stop and take a look. One day, a friend of mine wanted to stop in during our lunch time walk. I was unexpectedly surprised by the selection of unique jewellery on display. I always knew I wanted a unique and custom engagement ring and had not seen anything worth considering before visiting Diamond Design. I gave my now-husband their business card and had them write a few styles I liked on the back. 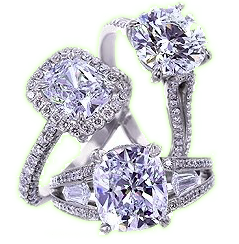 The great thing about the Diamond Design team is they will guide your significant other to the perfect design choice for you after listening to what you like and don't like. The team at Diamond Design are also extremely friendly and accommodating. They are great at recommending options within your specified budget and will work with you on the overall price, especially if you are ordering more than one item from them. In addition to my engagement ring, we had them design custom wedding bands for myself and husband. I also had them replicate a design for a necklace I liked and was able to put my own twist on it. The other aspect I really like about them is they give you access to an online loose diamond search. You can choose any size, shape, colour, clarity, cut combination you want to get an idea of the actual diamond price. This is a huge benefit when trying to stay within a budget. You will already know the price of the setting, and can then control the price of the main diamond. Don't let the small size of the shop fool you, they are worth checking out and you will be pleasantly surprised. If you have any ideas in mind for a specific design for any type of jewellery, just ask. They have hundreds of pieces behind the counter not on display that you can look at as well and will likely have something to match your idea. Happy Shopping! I recently proposed to my now-fiance. I had a very specific and intricate jewellery piece in mind. I was unsure if it was possible to create, but taking it to Diamond Design relieved my apprehension. They were professional, knowledgeable, timely, and gave me the best diamonds for my price range. Thank you for everything. Thank you guys for an amazing and easy experience. The ring came faster than I thought and the box it came in was the cherry on top! She loved the ring which was the most important thing to me. A lot of variety, quick responses, and very very friendly service! You guys are amazing!! Anar and Anju -- Thank you so much for everything. I contacted you when I first started looking for an engagement ring at the referral from a family friend and I was not disappointed. I came in so confused and walked away with the most beautiful ring. The honesty and expertise made me feel so comfortable that I would come back to you guys for every occasion. Both of you went up and beyond to meet my needs and ring was just amazing. Every person who saw it was amazed at how beautiful the ring was. Thank you for making the most important and happiest day in our lives just absolutely perfect. Hope you are well :) I wanted to say a MASSIVE thank you to each and every one of you who played a role in creating such a beautiful ring! I absolutely love it and it is more stunning than I could have ever imagined. When my now-finance, Naz, got down on one knee to propose to me at the sky bar in central Mancheser where we had our first date nearly 5 years ago and opened the box, I was so happy to see our vision of the ring in reality. This would not have been possibly without all your help and advice. So once again, on behalf of Naz and I, we would like to say thank you. Anju - you guys were brilliant!! A job really well done - all the ideas fell into place and presented fantastically!! Thank you so much for everything, including the little white lies I forced you to say to Anisha ;) All fell perfectly to plan! THANK YOU! When we are next in Canada, we will be meeting you for sure! I am so happy with the purchases we have made with Diamond Design. It started with an engagement ring and wedding band back in 2010, and they were simply beautiful. Truly the rings of my dreams. I receive endless compliments on the set. Now, a few years later, I decided to get a second wedding band to have a stack of 3 rings and it just completed the look perfectly. Thank you very much! We will definitely be visiting Diamond Design for future purchases. Anar, You were a great help in choosing the right diamond and more importantly, worked with me patiently through the whole process! Amna loves the ring (or so she tells me, but I'm sure we will be back to get an upgrade!). Jewellery is a very personal purchase, and often people have a hard time buying without seeing first. I admit I was nervous when we first discussed our purchases over email, but with your expert advice and guidance along the way, I couldn't have a more beautiful wedding set and it's all thanks to Anju! I have received many compliments on my engagement ring, and as such, we have recommended your services to four other friends getting engaged. All have ordered from you and are so pleased with the quality, price, and services you offer. Thank you for all your help, and we will always be purchasing from you in the future. Thank you for making this so easy for us, you have truly been a pleasure to work with. It was a pleasure working with you on getting my Fiance the ring of her dreams. You were so accomodating and helpful along the way. Thank you so very much! Megan has told me to pass along that she had a ring in her mind when she dreamed of the perfect one. The one that I ended up getting her exceeded her expectations. She is in love with the ring and has had many compliments. She is very proud and I am very happy. We are planning on a longer engagement, probably a couple of years, but when we are ready, we will be ordering our wedding bands from you! Thank you again so much, for making the first step in spending our lives together so perfect! She liked it, that's the only thing that matters. Thank you for everything. It was easy and a pleasure dealing with you. Now I know why my cousin recommended you and I'm glad he did. We will see you again for anniversaries and maybe in a few weeks for the wedding. Anju, I'd like to take this opportunity to thank you for your patience, expertise, and exceptional customer service. You took your time in helping us chose an engagement ring and both our wedding bands, while being informative and helpful. The rings are beautiful! And thank you for your patience in helping us with the sizing. I will not hesitate to refer you to anyone looking for engagement rings and wedding bands. Your products are great and customer service is even better! Norma was very pleased with the ring. The setting compliments her solitaire ring setting and we thank you for your professionalism, recommendations, price, and your knowledge and integrity. Thanks again for making this purchase a pleasant experience. I visited Diamond Design on the recommendation of a friend and was not disappointed! I purchased a complete necklace/earrings/bangle diamond set that was custom made for me and it was absolutely incredible. My fiancee was completely shocked when I showed it to her! My family was very happy with the quality of the diamond set that we purchased. I can say without any doubt that i will visit the team at Diamond Design again for future purchases. They were prompt, polite, helpful, and VERY honest. Truly a pleasure to work with and I'd highly recommend that anyone looking to buy jewellery of any kind or for any budget, seriously consider dropping by and talking with the Diamond Design team. I was initially introduced to you by my colleague - who had nothing but exceptional things to say about Diamond Design and your staff. I felt relaxed and confident that you would be able to find just the right "something" and you did. You always take the time to explain or recommend a new piece that you just got in stock. With each request we made, you were able to rise to the occasion and provide us with the most impressive engagement rings, necklaces, earrings, and gifts for our then future daughter in laws - every piece loved and treasured. Two of our three sons started their engagement ring experience at Diamond Design and the third is making his way. Over the 6 years I have dealt with Diamond Design, I feel like I am talking with my friends and making a purchase I know will only be treasured and valued more and more over time,. It is a pleasure to just stop, talk, and window shop with you - admiring all the stunning pieces on display. Like the colleague who recommended Diamond Design to me, I now highly recommend friends and family to show where I know they will be well looked after by Anar, Amir and Anju. Thank you for your exceptional professionalism and courteous and kind customer service. Diamond Design is the ONLY place we will go for our precious and treasured purchaes. Thank you! You have provided exactly what you promised and met a tight deadline of completion as well. it was perfectly executed. I love the simple yet elegant design of my diamond ring. It certainy enhances without taking away from the beauty of my eternity ring, just as you suggested it would. I can't stop admiring it! You were so knowledgeable and helpful from start to finish. Lovely people to transact with. I will be sure to return and refer in the future. Thank you. Meeting Amir and his familiy was an absolute pleasure. We needed to get a valuable engagement ring resized on extremely short notice as we are from the U.K., and has an important event to attend in Toronto and very wanted the ring ready for it. We were also very concerned to hand over such a precious item to someone we had never met. Amir made us feel at ease straight away, reassuring us and teaching us how to identify one's diamond under magnification. We are very grateful to have found Amir because we felt we could trust them, and we were right. We definately hope to make purchases from him in the future. Your gesture really touched me and you not only provided service par excellence, your generosity in the servce you provided was something I have never experienced before. Bob and I researched a tennis bracelet for my retirement for a long time. Amir had a great product at a great price. He was very knowledgable and taught us what to look for in a diamond. Amir was very professional and made the process fun. I love my tennis bracelet! Thanks Amir. You guys are definately the best in customer service, and that is why no one ever thinks of going anywhere else after such a pleasant experience. Thank you, I do look forward to shopping with Diamond Design again. Thank you very much, Anar! My "Lovely" adores that ring and her earrings too - and she commentds on their sparkle almost daily! Thank you again for helping me find the perfect gift for her 60th year and our 37th anniversary. Sixty years from now, I am going to buy her a ring from Diamond Design that is at least twice the size! How well organized you folks are ... Amazing! That's something I have learned over the years - the personal touch always makes a difference. I so enjoyed working with you on this, it was a very easy way to do business. And you did beautiful work! It was our pleasure meeting with you, Amir, and your daughter, Anju. It is reassuring to have finally met you after seeing and hearing many of your advertisements. As you know, it is our heritage and tradition that we must always aspire to be respectful, credible, honest, and truthful in everything that we do. It was refreshing for us as we found those qualities in you from the very first time we met. Let me also congratulate you because not only did my wife and I realize that, but our daughter also. We will not hesitate to recommend our family and friends to you. May the blessings from God continue to be showered upon your family for continued success in all aspects of life. You work and actions are the ties that bind families and communities together. God bless. Thank you for your fine work on finding this star shape diamond for my wife. I know it was a challenge to design and complete the ring, but the results are excellent. My wife was thrilled. I would like to say thank you for the great job you have done for me to make a perfect gift for my husband. I was looking for a white gold wide and well-designed bracelet for a couple of months and could not find this type of bracelet anywhere but your store. My husband loves it very much and wears it all the time. I am looking forward to seeing you again to find something nice for myself. Hope to visit you soon. Diamond Design was recommended to me by a couple of my friends and family members. And subsequently, it was the first shop I walked into. As a result, I was completely satisfied with their service. I had certain requirement that had to be met in terms of the diamond specifications. Anar and her team were extremely helpful and knowledgable of the type of diamond I was looking for. Their courteous attitude and helpful nature made me very comfortable and trustful of their products. With their vast selection of impressive designs for rings, I would highly recommend anyone, who is looking for overall product and customer satisfaction, to visit Diamond Design. I promised Anar that I would be coming back to buy a ring for my wife, and I intend on doing that soon! Good luck and all the success to Diamond Design. I have been ring shopping for months across the the entire GTA. From the moment I entered Diamond Design Studio, I was greeted in a very courteous and friendly manner. Anar was very approachable , knowledgable, and patient in explaining all the intricate details about diamonds and their various characteristics. After doing some research on my own, I presented Anar with all the specifications that I wanted in the engagement ring. I was ecstatic to see that they had not only met, but exceeded by expectations with the final product. The entire shopping experience could not have been any better. Anar and Amir demonstrated that they were willing to go out of their way to best suit my needs. I would highly recommend Diamond Design Studio to anyone who is looking for excellent customer service and quality products in a low pressure environment. Thank you Anar and Amir for everything. I still remember it was my wedding anniversary the next day and I was trying to decide what to buy for my beautiful wife ... something as beautiful as her. 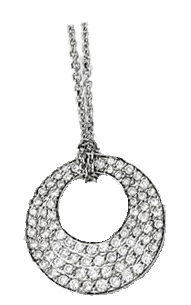 Then I heard of Diamondo Design Studio, checked their website, and liked a diamond pendant. The problemwas that I did not have the time to go Downtown and I needed it before the evening. I called Mr. Amir and couldn't believe it when he said that he would be able to deliver it by the evening. He made my day! Thanks to Diamond Design and Amir Bhai. 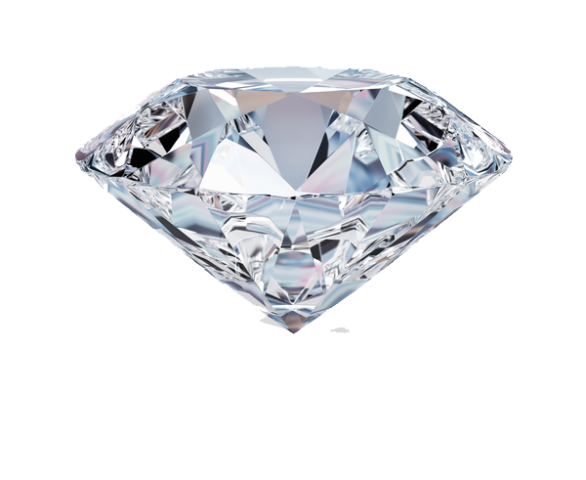 I recommend Diamond Design to all my friends because they are reliable and trustworthy. My cousin came to Canada from Pakistan and was very confused as she couldn't decide where to shop for her diamond jewellery. When we heard about Diamond Design, we knew our problems were solved. She recommeded Diamond Design to her fiance in Bombay, and even he purchased some jewellery. Diamond Design has that something special about it, that no other jeweller has. Here is a simple but powerful rule - "Always give people more than what they expect to get" - And that is what Diamond Design does. Keep up the great work. After recently buying a diamond necklalce from your showroom, I was very satisfied with the service and really appreciated your commitment to customer service. I have already told my sister about you and she plans on visiting you in the future. There are definately no regrets in my choice. Superlative. There is no other word that describes the customer experience at Diamond Design Studio with Amir. What you will experience with Amir both in terms of service and quality will far surpass any diamond merchant on the globe. From my first footstep into Diamond Design Studio to the moment of joy when I cast my gaze upon the completed work of art (my engagement ring), Amir was at my side ensuring that I received the absolute possible value. The wisdom of the three decades of diamond experience was Amir's gift tome and it can be to you as well. Go see Amir and witness a master at his craft - Toronto's wisest and friendliest diamond jeweller! Entering the store of Diamond Design, I found the atmosphere to be warm, friendly, and unassuming. Amir understands that each client is different, and spends the time to build rapport without bias. His obsession for service excellence is evident at first contac, and without a doubt, delivers the positive customer experience seamlessly tomake clients for life. Amir is an expert in what he does, and full disclosure was received prior to finalizing my purchase. Ths is the truest of his testimonials, and must be appreciated. Thank you Diamond Design, for me now owning the finest piece of jewellery. The service you provided was exemplary and second to none. Delivering the customer experience model is really what sets you apart. It is truly my privilege to endorse this fine company, where service excellence remains their frist priority. My engagement ring was absolutely gorgeous. From what I heard from my now-fiance, the service and price he received for the ring was great. He had a great experience with Diamond Deisgn and we will be going back for our wedding bands. I purchased a ring for my wife for our 25th anniversary while on business in Toronto in September 2008. The young lady serving me was very polite and gave me a super deal on the item I picked out. I gave it to my wife on July 7th 2009 and she loved it. She took to WK Chan Jewellers in Winnipeg to have it sized and all the staff came over to see it as they thought it was very exquisite. In August, she noticed one of the seven stones was missing. I called Diamond Design Studio (Anar Jewellers), told them about my problem, and Amir told me to FedEx it to him and he would fix it. As it was, I was slow and shipped it in late November. They promptly repaird it and shipped back NO CHARGE!! What a great place to deal with ... will absolutely deal with you again. I just want to thank you again for being so helpful during my recent experience regarding my diamond ring. Your assistance during this entire process is greatly appreciated ... it really made my decision a lot easier! I also had to exchange my first purchase for a replacement, and you made this happen painlessly and quickly. Thanks for go ing the extra mile to find that extra diamond especially for me. The ring looks spectacular. I must say that I liked your relaxed sales approach. It's refreshing especially in your industry. It was nice that you provided me with facts and did not pressure me. Amir, you've been a huge help, and I will be sure to let others know of my experience with you. Diamond Design comes highly recommended! My regards to Anar and Anju. My engagement ring left him speechless! The setting was absolutely AMAZING! I couldn't have been happier wsith the the finish and quality. My now-fiance was completely blown away by the setting and the diamond. I am so glad I went with my instincts on this one. Diamond Design Studio is a trustworthy, reputable company who goes out of their way to make your purchase a pleasurable one. You can't beat the quality, the price, and the service. I will definately be coming back to you guys in the future! All the best! We wish to thank you sincerely for your excellent, professional, and courteous service over the last decade. Our relationship began when we purchased my first Movado watch from you; since then, graduation gifts, jewellery for birthdays, gifts to commemorate Mowla's Padhramni in 2005 and Golden Jubilee and more recently, when we did all the wedding shopping. Anar, Anju, and Amir - you went well beyond the call of duty and we cannot emphasize enough, how very satisfied we are with your service. We will be back soon! By far, I received the best overall experience shopping for a diamond engagemetn ring, compared to all the other stores in GTA. The level of service was far beyond any of the competitors. I would gladly recommend making a purchase from Amir to anyone, I too will be returning to purchase additional items in the future. The little things are what stand out, such as the bottles of water and free DVD's, not to mention the friendly conversations and the quick turn around on a custom design ring. I have travelled from Brampton to Burlington to Markham, and will gladly chose Amir over all the countless stores I've come across in my search. Diamond Design Studio is an excellent place to shop. We have bought a couple of diamond rings from them and have been very satisfied with the purchases. The best part about the experience is that there is no hurry, no pressure; we are given detailed explanations on what hte jewellery piece has - pros and cons. Anar builds a friendly relationship and that's what counts. Price is important and we belive Diamond Design is competitive. We don't even check elsewhere, as we trust that the price will be fair. Great place ... highly recommended for any jewellery purchase. It was a pleasure buying a ring from your store. I must compliment you on your excellent customer service that you and your family provide at the studio. I must mention that both my husband and I truly appreciated your taking out so much time and effort in explaining all the details about the piece we bought. That definately gave us a lot of confidence and peace of mind. We will definately recommend you to our friends and family, and visit you again for all our future jewellery needs. Thank you once again and good luck to you and your family. I am your repeat customer and would like to commend you on your exemplary customer service. On all occasions, we were very impressed with the personal attention extended to us at the time, as well as the variety of jewellery pieces you have in our showroom. Thank you so much and we will continue to shop at your studio as long as we are in Toronto. I have also recommended your shop to several of my colleagues since my positive shopping experience with you. Keep up the great work. Thanks for the prompt delivery and also very sweet and thoughtful of you for sending the hindi movies along. I liked all the jewellery that I bought from your store. Your designs are unique and hard to find. Keep getting good designs and giving good prices always. Looking forward to visit you guys again. I had the pleasure of coming to Diamond Design and buying a beautiful set. I would just like to take this opportunity to thank you for all the help and service that was provided to me during my time there. Kindly extend my sincere thanks to your daughters as wel. It was a really nice experience doing business with you, and based on the wide selection that you have and especially the exceptional customer service that you have provided, i am sure I'll be around a few more times in the future. I have been a customer of Diamond Design Studio for years. Their jewellery is unique and one of a kind. Prices are very reasonable and they have excellent service. They are friendly and very accomodating. For my jewellery gift giving, I rarely go anywhere else.